Internal combustion engines require a system to control the airflow and fuel mixture into the engine in response to driver requirement, this can be done in a number of ways and engineering development has led from the mechanical carburettor to fuel injection. Traditional carburettors have significant limitations in terms of mechanical complexity, air-fuel mixture control. Fuel injection uses electronically controlled injectors, and single or multiple valves to control the quantity and combination of fuel and air into the engine cylinders. Butterfly throttles use a flat plate mounted on a rotating spindle to open and close the passage through which the air flows, and can be controlled to very accurate angles by a mechanical cable or an electronic actuator. Butterfly throttles offer several distinct advantages over alternative throttle designs, mechanical simplicity, cost effectiveness, accurate control and part throttle response to name a few. Butterfly throttles are used in all areas of motorsport from Grassroots through to Formula One, WEC and WRC. 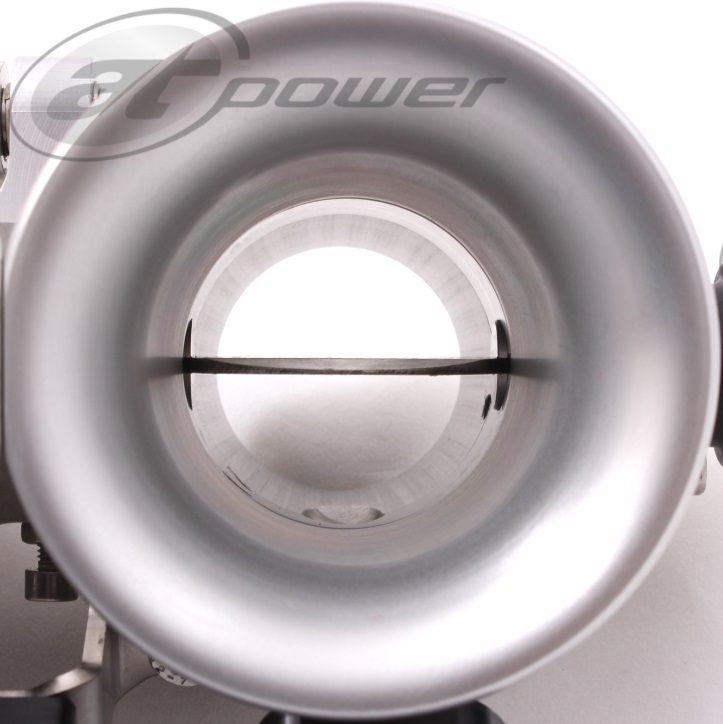 They are one of the oldest and most developed throttle body systems and AT Power has taken that development to its ultimate stage.